Good leather shoes are a part of every man’s wardrobe and they should be. Whether it’s for office wear, formal occasions like weddings or party wear, every aspect of one’s wardrobe is important and shoes are no less. They are an important part of our outfits and can make or break the impression we create in people’s minds. And that is why we need to pay proper attention to our footwear and wear suitable shoes according to the occasion and situation. Choosing footwear requires careful consideration taking into account not only the appearance of the shoes in question but the material, the fit, the level of comfort, and of course its durability. Shopping for shoes, like with most other things, can become a complicated affair keeping so many factors in mind. Ideally one should stick with known and reputed brands so one can be sure that the product we buy will be made with good material and will last long. 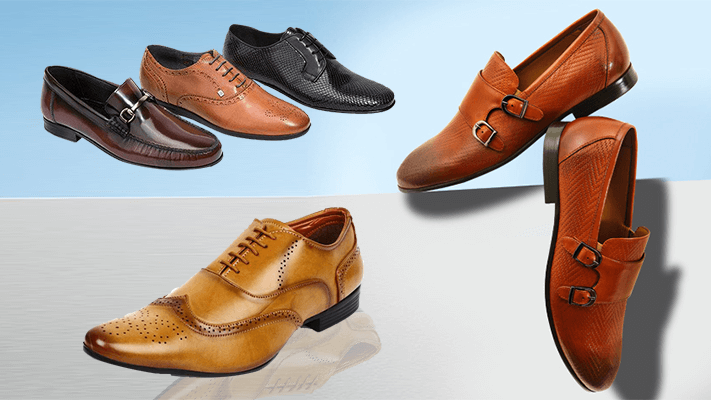 Check out our list of the top 10 leather shoe brands in India to help you make your choice of the perfect leather shoes. We’ve done the homework for you, now all you need to do is choose and shop! There’s no shoe brand as well known as Bata in India! From flip flops to formal shoes, from childhood to adult life, Bata has been the footwear for millions of Indians for decades. Established in 1894 in Zlin, a town in the modern Czech Republic, Bata started with 10 employees. Today it is a massive multi-national company with a very strong presence in India where it arrived in 1931. 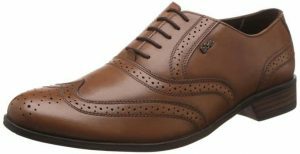 The Bata Mascot Derby Lace Up for men is a smart pair of formal leather shoes that’s perfect for office/work. Get Bata coupons on GreatBuyz for your Online Shopping. Clarks has been making shoes since 1825 and has been available in India since 2005 when they opened three stores here. Clarks is the official supplier of shoes to the British Royal family and carries a high degree of quality in every product that it makes. 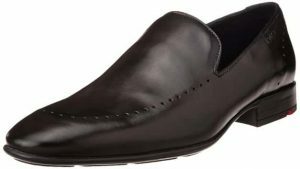 Pure leather slip-ons that have a formal and sleek look like this pair from Clarks are perfect with your business wardrobe. The Hush Puppies brand is owned by US company, Wolverine World Wide and was first introduced in 1958. 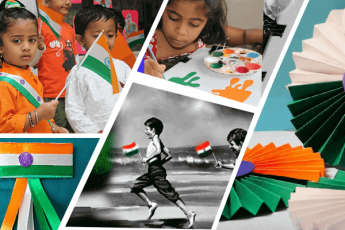 The brand’s global presence is well known and has been in India under the Bata banner for many years. The brand uses the image of a Basset Hound as its logo and this breed of dog is often referred to as a hush puppy thanks to this association. 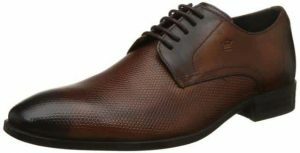 Hush Puppies Men’s City Bounce Leather Formal Shoes come in a smart brown colour that stands out. Worn with a sharp business suit, this pair will look professional and will be comfortable too. 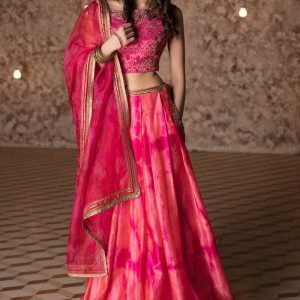 Louis Phillipe is a brand owned by Madura Fashion and Lifestyle which in turn, is a division of Aditya Birla Fashion and Lifestyle of the Aditya Birla Group. Apart from garments, the brand is also known for good quality footwear. The Louis Phillipe range of formal shoes has some excellent designs. Take this two toned, textured formal lace-up pair, for example. Make a fashion statement without an extra effort with this pair. Get LouisPhilippe coupons on GreatBuyz for your Online Shopping. The Woodland brand is owned by the Aero Group, an outdoor shoes manufacturer based in Canada. 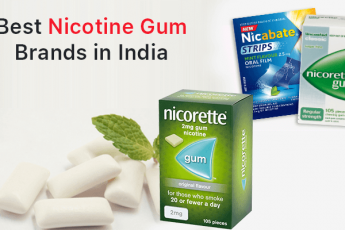 The brand entered the Indian market in 1992. This was the first hand-stitched leather branded leather shoe available in India and took the market by storm. Today Woodland shoes are available across the country in innumerable stores and of course, online too. The Woodland Camel Leather Shoes for men are a lovely caramel colour and have sporty rugged looks. These are great for the outdoors and are equally good for the daily commute to work. 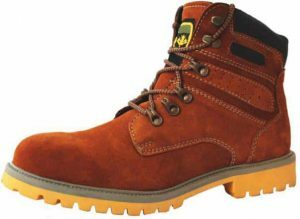 Timberland is an American shoe brand that mainly makes shoes for the outdoors. The company is 100 years old today, established in 1918. The Max Air Boots for Men in a dark golden tan colour are made with top quality leather and have sturdy soles. 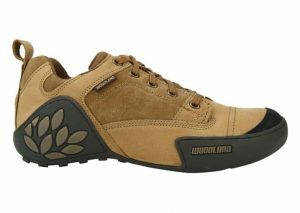 The ankle high design and the lace up closure make the shoes comfortable and snug, and perfectly suited for the outdoors. Red Tape is one of the leading fashion footwear brands in India today. The company manufactures a range of top quality leather products including wallets, belts and shoes, among other things. Red Tape products are available in numerous countries including Germany, USA, France, Great Britain, etc. This classic black formal shoe is a must-have in every well-dressed man’s wardrobe and this one from Red Tape fits the bill perfectly. The Ruosh brand is the in-house footwear brand from Sara Soule Pvt Ltd, a Bangalore based company that is into shoe and leather manufacture. Established in 2001, the company is one of the largest footwear manufacturers in the world and has a number of international clients. With such expertise in the field it was only natural for an in-house brand to be created. 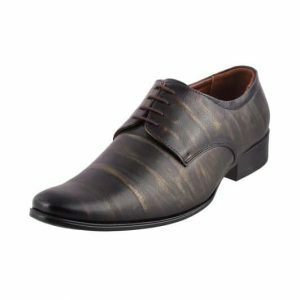 This pair of Ruosh Men’s Leather Formal Shoes is the slip on type, made with good quality leather and is ideal for evening wear. Founded in 1908 in London more than a century ago as a denim manufacturer, Lee Cooper is one of the best known shoe brands in the world today. The brand is well known for its quality products and their footwear enjoys a lot of popularity in India since 1995. 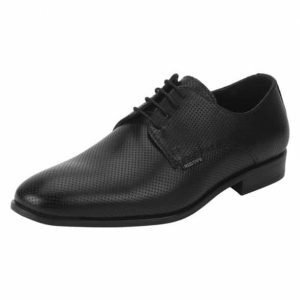 These leather formal shoes with detailing work well in formal and casual settings. Metro Shoes is a Mumbai based company that started in 1947. Their first outlet opened in Colaba, in South Mumbai. Today the brand has stores all over the country in the metros and in tier two cities. These formal leather shoes from Metro have bronze detailing to give them a party look. Made with soft leather these are super comfortable and will see you through the longest party quite comfortably. 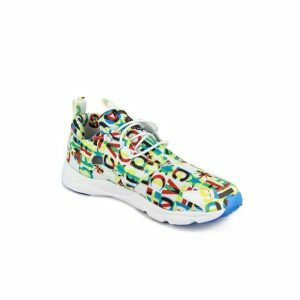 Find Metro Shoes Coupons on GreatBuyz. Now that you have the best leather shoe brands in India on your fingertips have a great time shopping for the best shoes to add to your wardrobe. And if you are looking for more options, you could also check out our post on the top 10 formal shoes brands available to buy online.